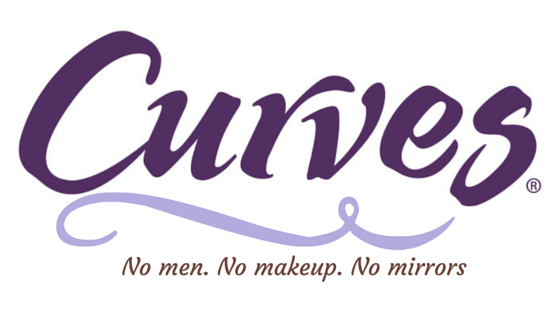 But Curves gym, focusing on a more specific demographic (you know, us girls!) knew how well their tagline speaks for women who are more concerned with improving their fitness levels, and who simply wanted to work out without being conscious about themselves. 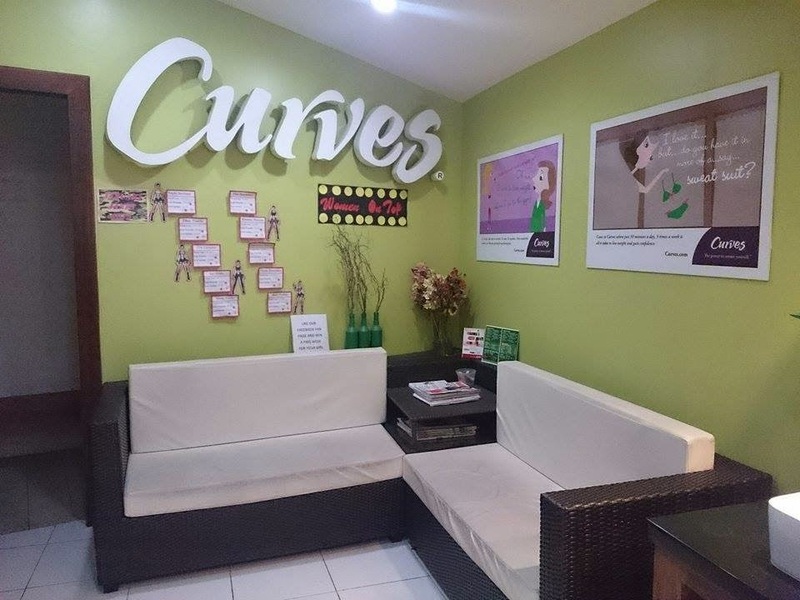 And to this extent, Curves serves its purpose by providing a facility that is for women only, has no mirrors at the workout area, and doesn't allow you to wear make-up. ang strict diba?! 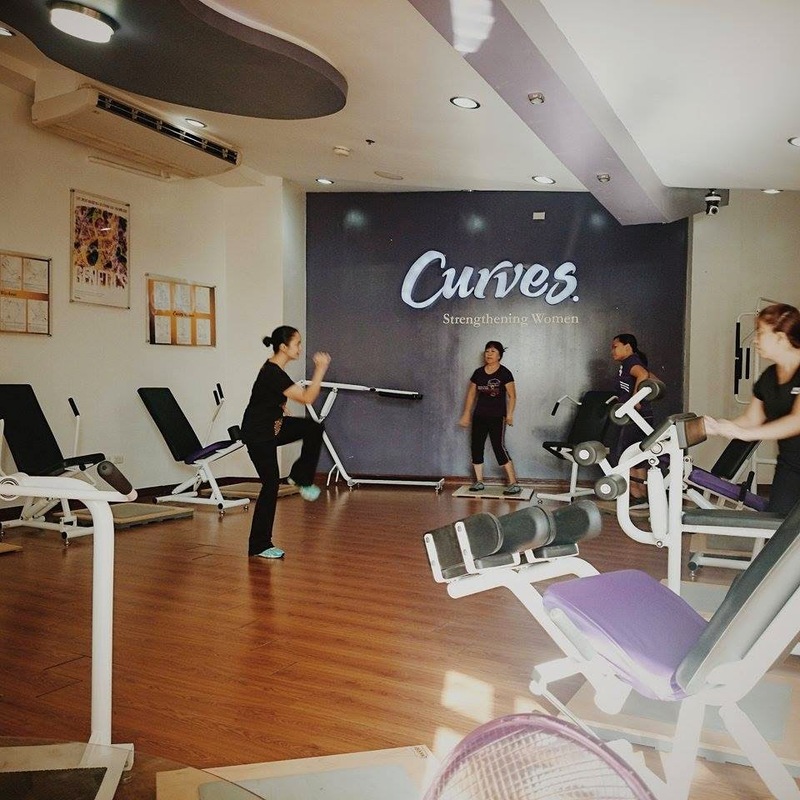 Curves gym offers circuit workouts using a set of 12 machines that target different parts of the body. They're placed in a circle and in between each of them are recovery pads where you do some light active movements to break the last machine workout you just did. You spend 30 secs. on the machine, then some 45 secs. on the recovery pad... until you've circled around the entire circuit. 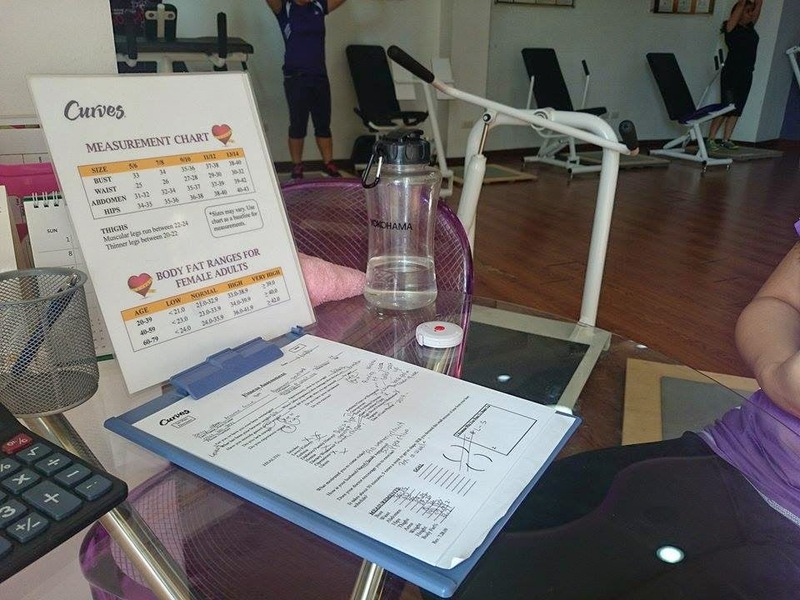 There's a background music and audio guide naman, plus there's always a coach to help you with the workouts! i love how every member gets this sort of initial goal setting interview where the coach assesses your current fitness level, your measurements, your desired weight, health considerations, etc. 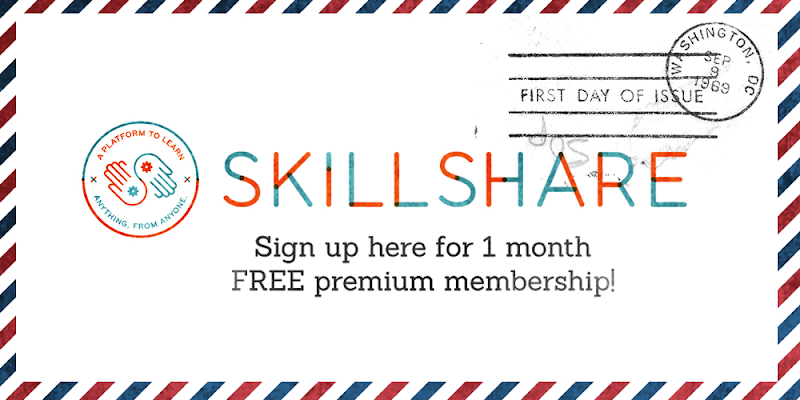 and helps you come up w/ realistic figures to lose (or gain, depends on your goal) in a month. the first circuit was kindof light but i could already feel some sweat. the second circuit though was what made me sweat even more as i had to increase the reps i do on each machine, shempre, to sweat and burn more! ang sarap sa feeling! the entire workout only took 30 minutes but it was intense enough to cover all parts of my body. very ideal for those on-the-go who didn't want to spend too much time on the gym. Across the lounge is where the comfort rooms and shower area is. There are mirrors here already, don't worry! See those cards below the Curves signage? 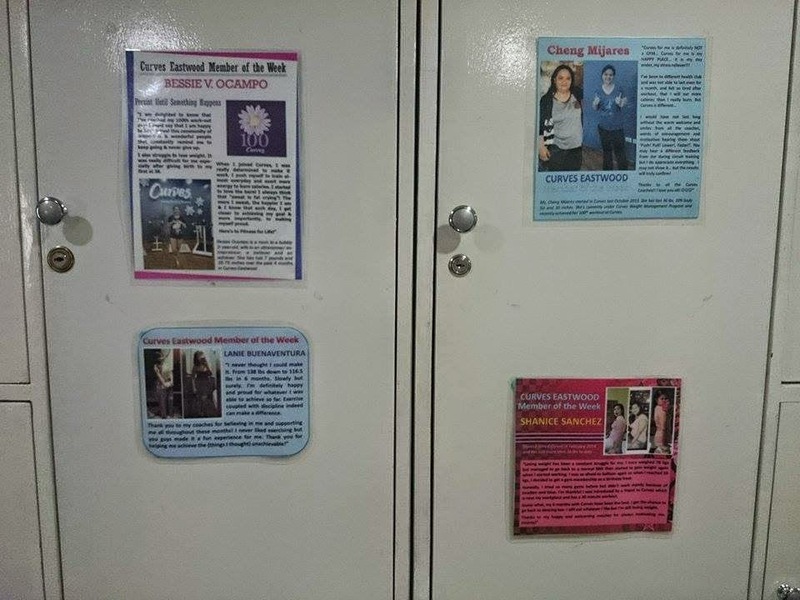 That's their "Women on Top" for the month of January! 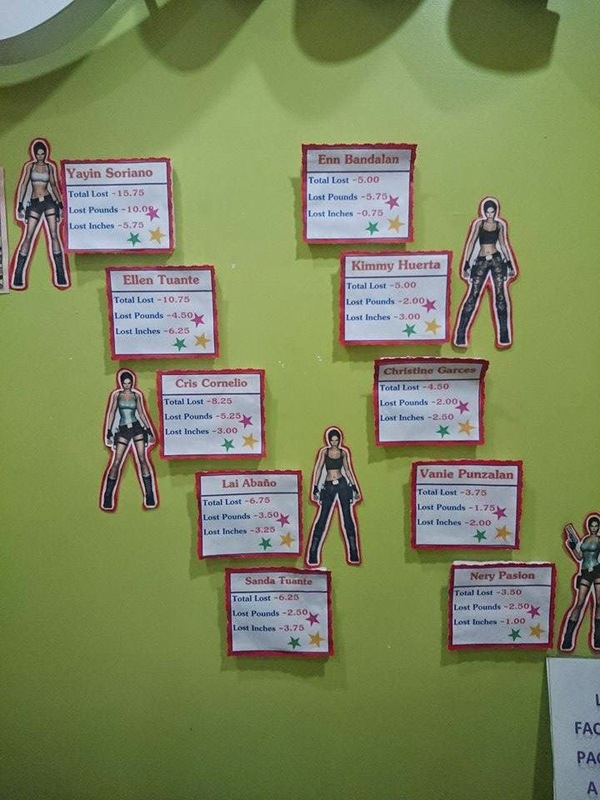 Only goes to show how this gym is serious about helping you achieve your fitness goals! 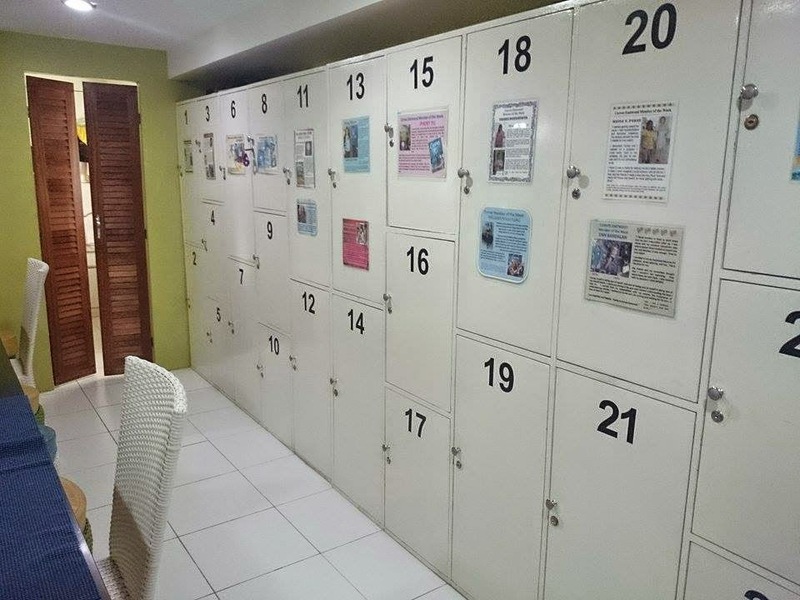 On the other side of the lounge is where the locker area is. 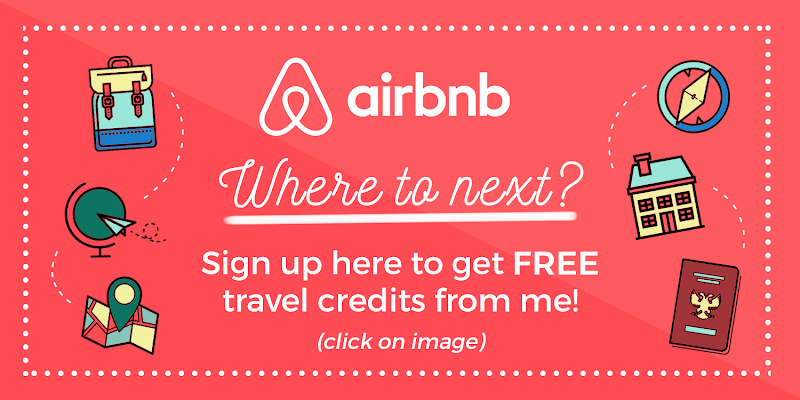 Also a place you'd see more inspiration! 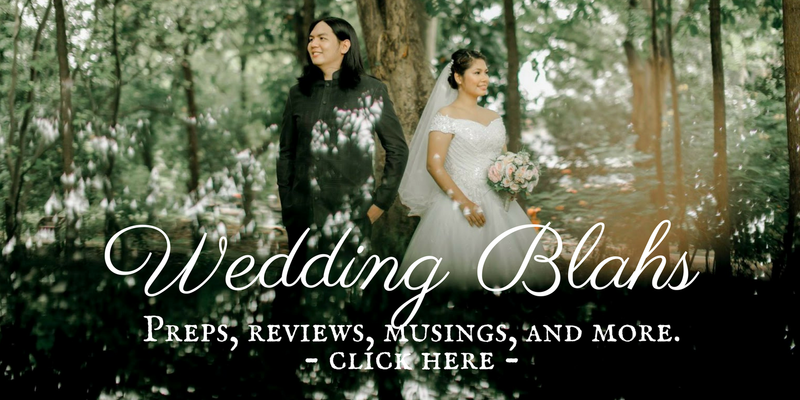 So, if you're working near (or at) Eastwood City, this is going to be worth your visit!